Car insurance is one of the necessary evils of modern life. 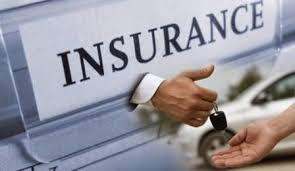 You pay a substantial amount of money each month to the insurance company, and if you are like most people, you have not had an accident or made a claim in years. Yet when you do suddenly find yourself involved in a collision, the insurance premiums you've been forking over all these years will finally pay off. The advent of the Internet has raised the level of competition between insurance companies. Because you can now sit at home in your bathrobe and compare rates and coverage between companies, they are under more pressure to offer competitive deals. So why not leverage the Internet's potential to help you save time, save money, and find the best auto insurance coverage? First, let's be clear about the fact that auto insurance is required by law in most states―it's not optional. If you drive a car, you must have auto insurance. So you need to find out what the law requires in your jurisdiction when it comes to how much auto insurance coverage you need to maintain. Print out your state's requirements, and save that information for the next step in the process.